Last week, my friend who I hadn’t spoken for a long time announced on Facebook that she’s breaking up with her boyfriend. She didn’t do so by sending me a private message, rather she simply changed her Facebook relationship status from “in a relationship” to “single.” My first reaction was, “Okay I already saw it coming.” However, next to this statement was a tempting button, which brought some dilemma to me. I admit, I also don’t like the guy for her, so should I click the “like” button since they’re already not in a relationship? Social media is a powerful tool, that it can create good relationships among its users, yet can also be destroyed with one click and lead to breakups based on the study. So, before clicking the button the next time you see a break up notification of your friend, here are some simple rules and proper etiquette in dealing with Facebook break ups. If you see someone’s Facebook status changed from “in a relationship” to “single”, try to resist the urge to hit that “like” button. Whether your intention is to show some encouragement or whatever it is, then just don’t. Ignoring it will save you from lots of explanation and embarrassment if that Facebook friend confronted you or misunderstood why did you like it. If you really want to click that “like” button or accidentally clicked it and too late to “unlike”, make sure that you hide or unfriend the “now-ex” of your friend. Liking the status of your friend’s ex will also be shown on the newsfeed of your friend’s ex and may misunderstood it that you are approving your friend’s decision to break up with that person. Make an effort to send your friend a private message expressing your sympathy about the breakup or congratulating her or him for breaking up with that jerk (the last one should only depends). Remember, your friend is still having some mixed emotions, so try to be considerate or sensitive, unless if that Facebook friend is a close one. Simply commenting a sad face on your friend’s status is already enough and more meaningful than reacting and giving some advice or asking why the breakup happened on that post. Just be honest. At the end of the day, what your friend posted on Facebook is something very personal in a public way. They are already aware of what will their friends’ react on his or her public post. There are some certain friends that will be saddened hearing the news, yet there will be those who will be glad it happened. There will be a web of memories left, according to New York Times. So, what you think about the breakup is really something they want to hear and see on their post, so be honest. 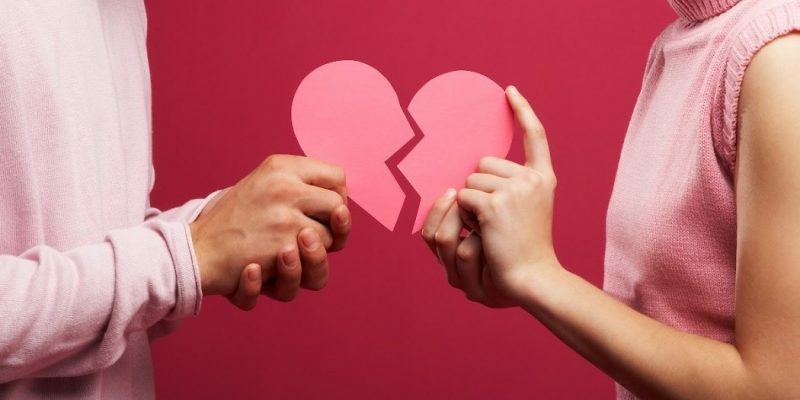 Social media breakups are really common nowadays, it’s true from AmbitionTraffic and if you’re planning to announce your own breakup on social media, then don’t. Just don’t. I read tips for breaking up someone on social media on Mashable.com and you’ll know why you shouldn’t do it. And oh, you may be asking whether I clicked the “like” button or not on my friend’s status, well the answer is, yes. I did because my friend’s ex is my cousin and I know the reason behind their breakup. Don’t ask why.